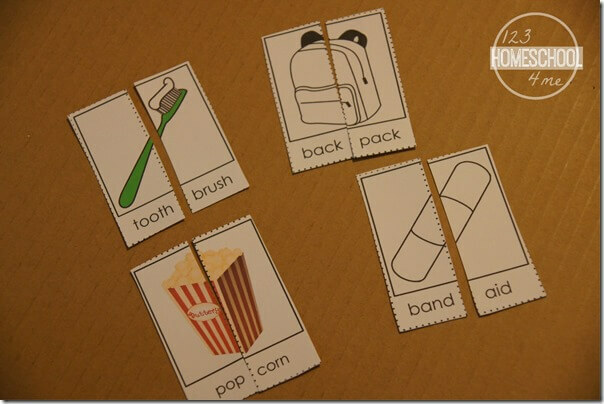 Help kids visualize, understand, and learn compound words with these FREE Compound Word Puzzles. These are such a fun hands on learning activity for Kindergarten, 1st grade, and 2nd grade kids. Help kids visualize how words become compound words with these super cute, FREE Compound Word Puzzles. There are 26 different compound words to practice in either color or black and white. This is the perfect activity to Kindergarten, 1st grade, 2nd grade, and 3rd grade kids. To prepare just print the puzzles in color or black and white on cardstock. 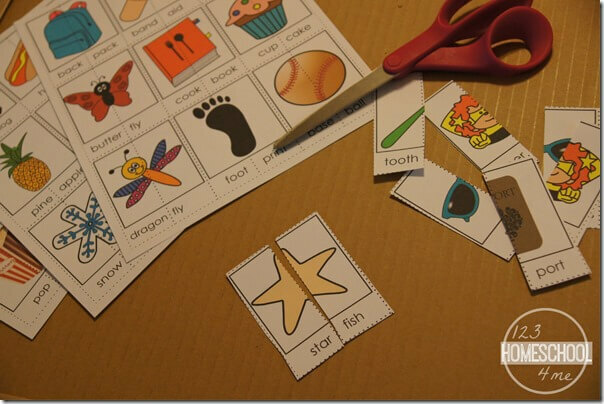 Next, laminator for durability so you can practice again and again with these nifty puzzles. Finally, Cut along the dotted lines to separate each puzzle into two parts. Give your student a stack of puzzle pieces to put together. Point out that each piece has a complete word at the bottom that if put with the other complete word makes a new compound word. 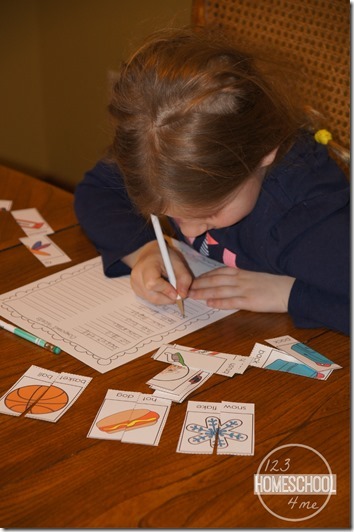 When the puzzles have been matched, encourage kids to write the new words on the free printable included in the pack to practice making words, spelling, and handwriting.